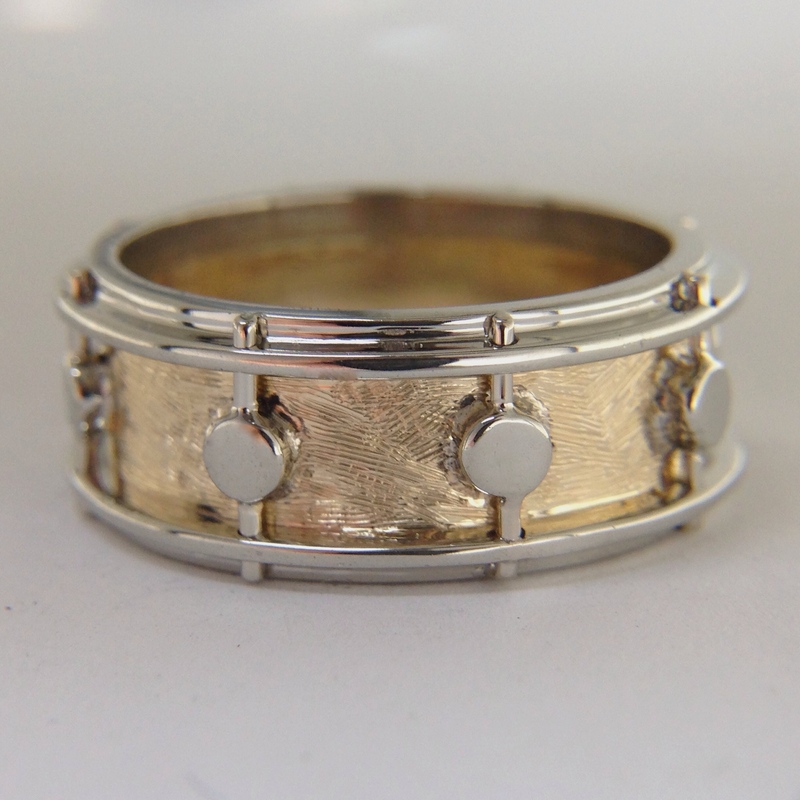 A wedding band for a drummer of a wedding band. 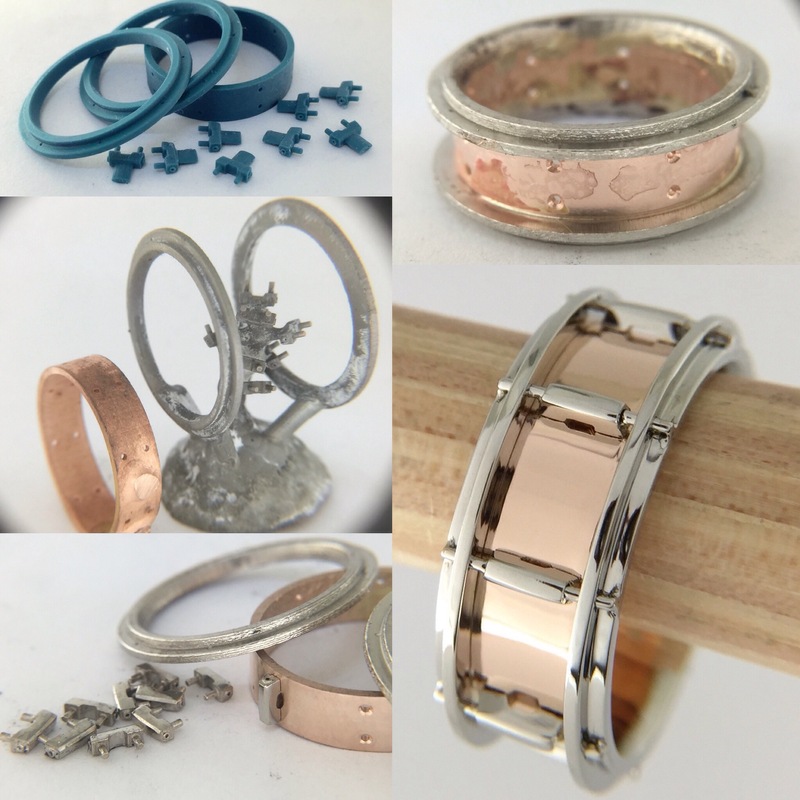 I have a series of drummer and guitarist rings that I have created for musicians. 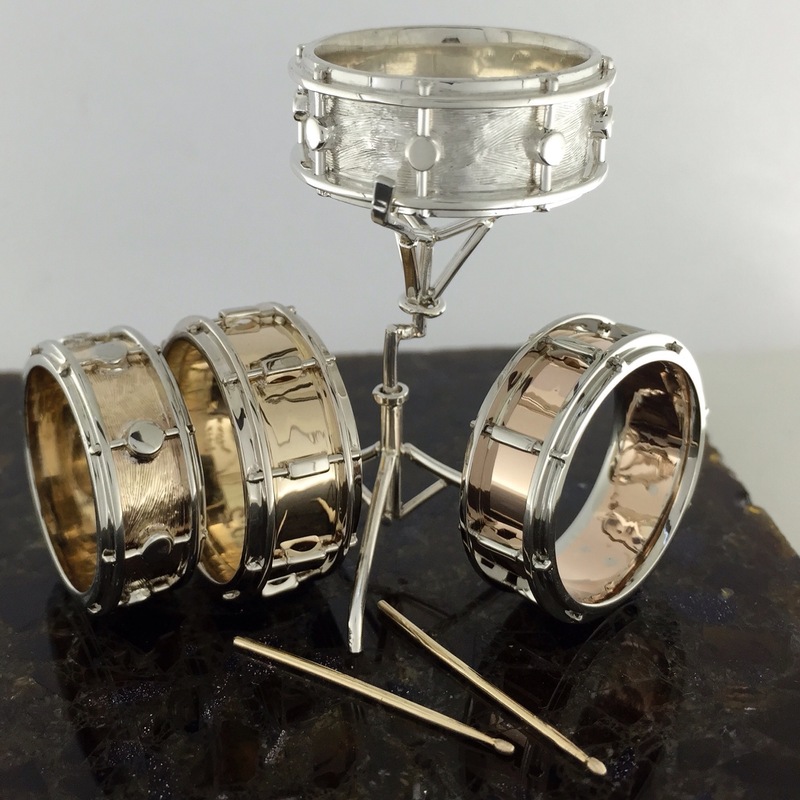 They can be seen at MusicianRings.com. 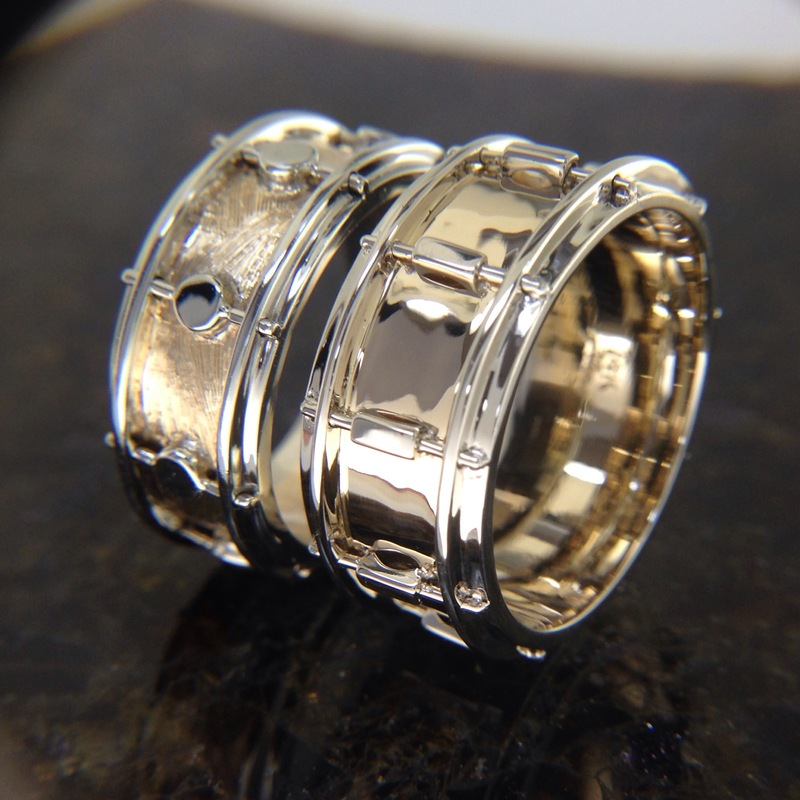 As a drummer myself, I have really enjoyed creating the drum rings. I wanted to show off a bit with a higher level of detail, complexity and realism. 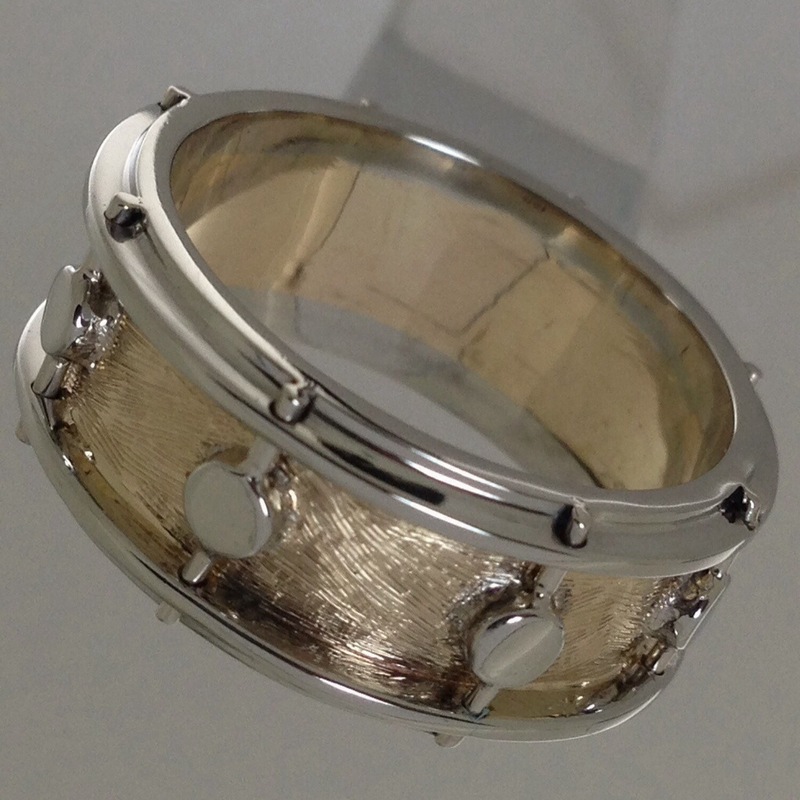 I carved the wax “shell” and “rims” and cast them in yellow and white golds to best show contrast of the parts. They were sanded and soldered together. I hand fabricated the “lugs” from a slab of white gold and laser welded them in place. I hand florentine the “shell” in a random pattern to give a natural wood grain look and feel. Then I drilled holes in the rim and laser welded on the sixteen “tension rod” wires. 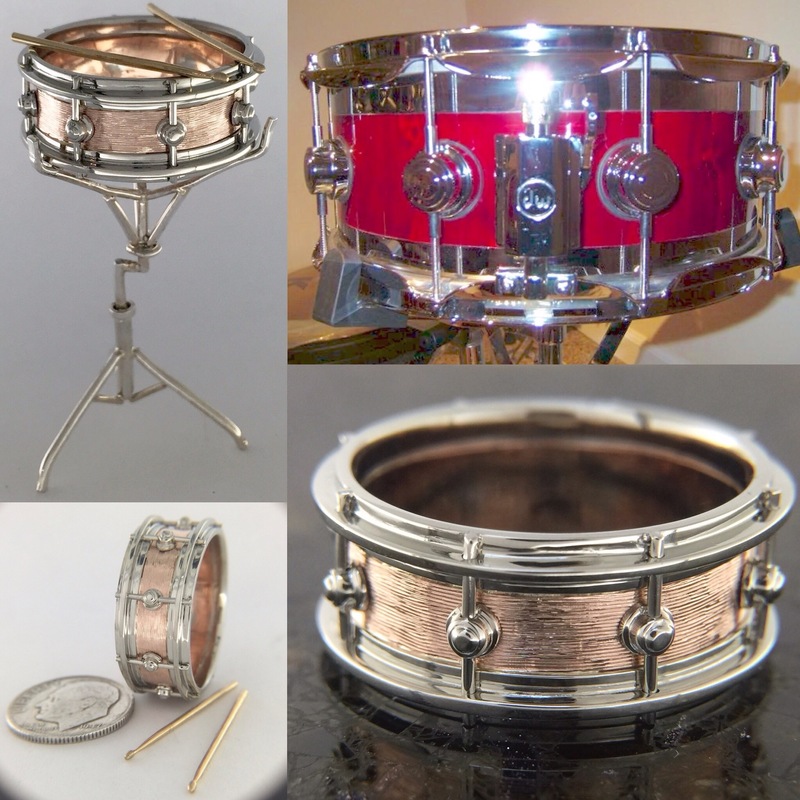 I can custom make any drum ring. 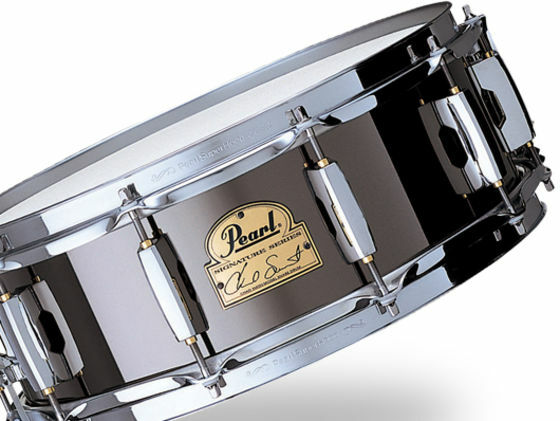 Here is the Chad Smith Pearl Signature Series drum. 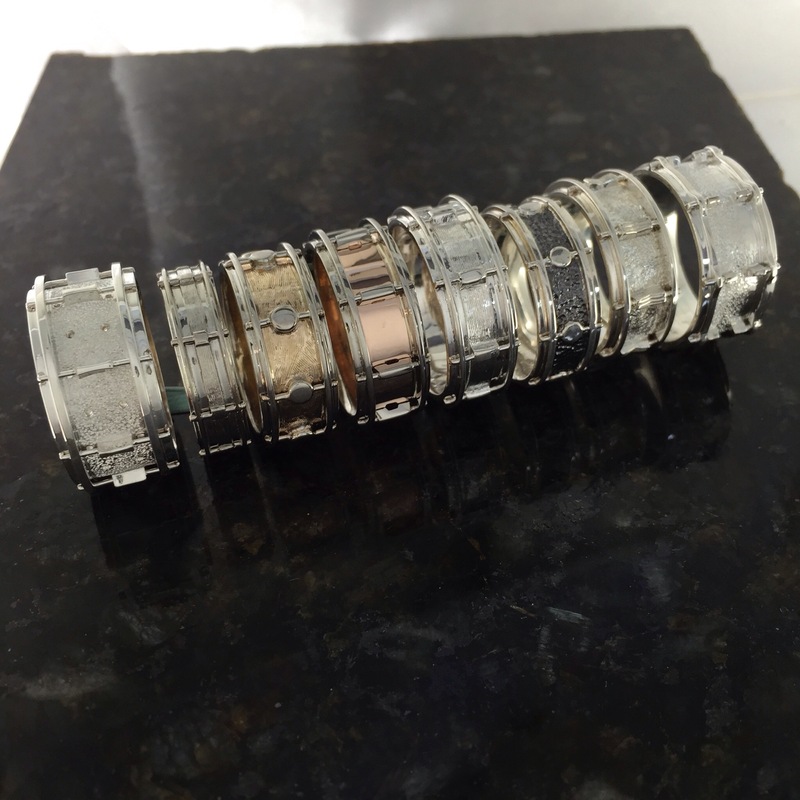 If you have any questions about having a ring made for you, contact me at the store, or visit the website for more details.